It has been such a busy summer that this poor old blog seems to have become somewhat neglected. Back in May we opened The Larder in a former store room beside The Gallery. The Gallery is a showcase of the work of independent, Scottish craftspeople and makers and we have carried that ethos across to The Larder. We have some lovely, lovely produce, ranging from jams and preserves, to artisan chocolate, to oils and cordials. We have Loch Fyne Smoked Salmon and Gigha Smoked Halibut sitting in the fridge alongside Great Glen venison charcuterie and very tasty soft drinks. Our freezer is filled to the gunnels with Arran Dairies ice cream, Balvennie St. Whisky Ice cream and frozen meats. We also have a small range of wonderfully natural skincare products. All lovely, all Scottish*. Perhaps The Larder’s crowning glory is the coffee machine, a very lovely looking Espressomat double hitter and now that we are trained baristas, we are pleased to offer take away coffees, using beans from independent Scottish roasters. 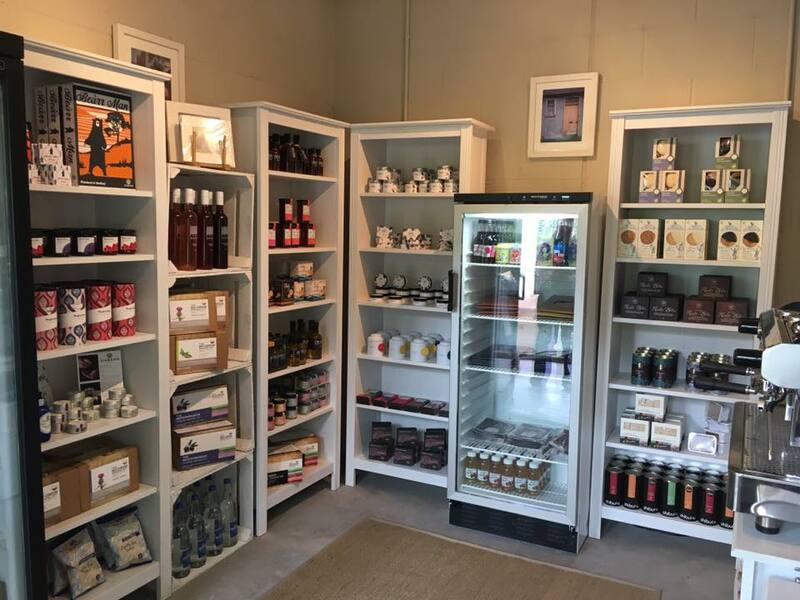 The Larder at Mansefield Studios, now open! *except for the Karma Cola range of soft drinks, but you know, they look and taste great and don’t have any nasty ingredients in them.